Human resources management is the strategic approach to the management of an organisation’s most valued asset – its people. Your people are a direct link to your bottom line and as a business you need to foster a culture that offers encouragement, motivation and productivity. Your people have varying needs for career advancement, support and development to understand and fulfil their roles. Ultimately your team’s performance directly affects your business and its profitability. Each of your organisation’s policies, induction procedures, performance management programs and procedures, training and operational manuals, showcases your company’s ability to educate, support and monitor your team’s performance against your goals and their capability. Their engagement equals productivity and profit to you – the employer and business owner! Clear and well defined systems, policies and procedures, including regular feedback and performance appraisals, are vital to enable your team to meet your expectations and their own. A common trend is that whilst business owners and key personnel understand the importance and value of strong human resource systems and practices, other critical areas of their business and constant demands on their time will often take priority. Understanding your people, their drivers, motivators, expectations of company culture and career objectives, can provide you with the human framework for building a successful business. Strategic Human Resource Consultant will assist you in developing this framework through jointly developed strategies that help you to create and maintain a productive, rewarding and winning workplace. Whether your business size is small, medium or large, the role that human resource plays is evolving rapidly and has become a strategic and critical component of organisational success. Michalle Faulkner and her team at EastCoast Human Resource Group work alongside your in-house HR Manager or directly with you, as your virtual team of HR specialists, to deliver the expert guidance you require to meet your organisational needs. One of the keys to a successful employment relationship is identifying the necessary steps to achieving well structured and robust human resource system that works for your business, then maintaining consistency. Company policies, well planned recruitment and induction procedures, together with training and operating manuals, will help you to ensure that you recruit, induct and educate your team about your company and its goals. The EastCoast Human Resource Group have a genuine passion for this industry and are hand selected for their commitment to ensuring our clients gain the maximum benefits associated with the newly created organisation provided by their Consultancy methodology. The EastCoast Human Resource Group has a longstanding presence in the community having been established for nearly 25 years. The Consulting and Recruitment team are becoming recognized in the business sector as a “specialist human resources department you can rely on for professional service and practical advice to everyday staffing issues”. 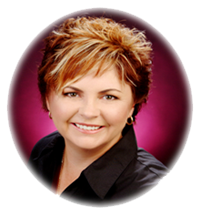 Michalle Faulkner can also boast being an award winning Consultant. Michalle was thrilled to have been recognised for her achievements and contribution to local business and community when she was named Micro – Small Business Woman of the Year in August 2008. Michalle also went on to receive a highly commended award in Melbourne in October 2008 in the Marketing, Communication and Executive Awards and has been recognised as a finalist in the Excellence in Business Awards in past years. Michalle Faulkner, knows people. In fact she bases her business on it! 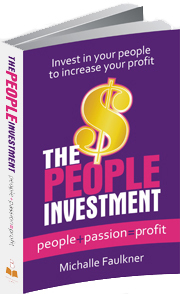 A highly sought-after HR consultant and expert in human resources, Michalle believes; "invest in your people to increase your profit." Copyright © 2018 Michalle Faulkner. All Rights Reserved.